In 1981, businessman Eugene M. Lang returned to P.S. 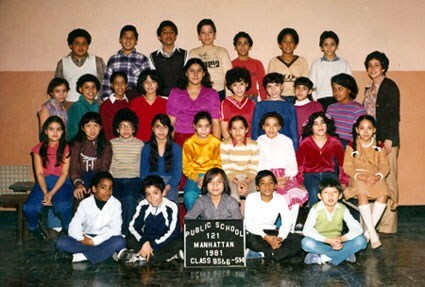 121, the elementary school he had attended in East Harlem 50 years earlier, to address a class of graduating sixth graders. He intended to tell the students, “Work hard and you’ll succeed.” But on the way to the podium, the school principal told Lang that three-quarters of the school’s students would probably never finish high school, prompting Lang to make an impromptu change to his speech: he promised college tuition to every sixth grader who stayed in high school and graduated. Lang told the class about witnessing Dr. Martin Luther King Jr.’s famous “I Have a Dream” speech at the 1963 March on Washington. He urged the students to dream their own dreams and promised to do all he could to help them achieve their goals. As he got to know his “Dreamers,” Lang realized they needed more help than he could give all 61 of them on his own. He hired a full-time Program Coordinator, Johnny Rivera, and enlisted the support of a local community-based organization to provide services and support to the children through high school graduation. At the same time, he maintained close personal relationships with all the Dreamers. By August of 1985, all of Lang’s Dreamers were still in school. He began responding to news media inquiries in the hope that others would be inspired to replicate what he had done. It worked. A front-page story in The New York Times and a segment on 60 Minutes led to widespread national attention. Thousands of inquiries began pouring in, and in 1986, Lang formed the national “I Have A Dream” Foundation to help launch a new generation of “I Have A Dream” Programs. Since then, over 200 “I Have A Dream” programs have operated in 28 states, Washington, D.C., and New Zealand, together serving 18,000 Dreamers. “I Have A Dream” has also freely shared its model with others — individuals, corporations, church and community groups, and government agencies — to generate other educational support programs that help many more children who lack a clear pathway to college. And Lang’s original 61 Dreamers? Of the 54 who remain in contact with the organization, more than 90% have earned their high school diplomas or GED certificates; and 60% have pursued higher education. The Dreamers have received degrees from Bard College, Barnard College, Swarthmore College, Rensselaer Polytechnic Institute, CUNY Hunter, and other schools. Almost all of the P.S. 121 Dreamers hold fulfilling jobs, and now their children are beginning to graduate from college.